Hi pretties! 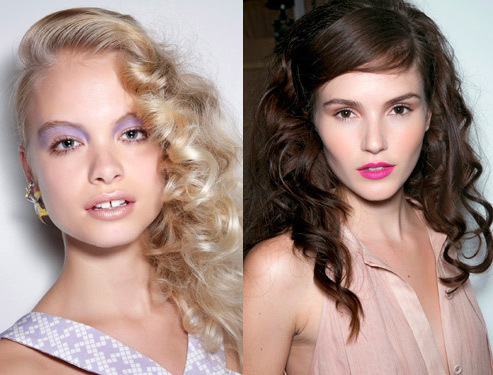 Hair is a huge part of both beauty and fashion, so I wanted to dedicate this post just to hair. It’s always great to keep up with the trends, so I decided to browse through hairstyle articles in Allure Magazine, Glamour Magazine, Cosmpolitan Magazine, and Harpers Bazaar Magazine. I picked 10 that stood out the most to me. Enjoy! As seen at Dolce & Gabbana from Glamour. I love this hairstyle, I think it looks really elegant and romantic. This “accessorize” trend is not limited to just flowers. Other accessories included headbands, hats, garlands, scarves, crowns, and more. As seen at Gucci from Glamour. I like this look because it is simple, doesn’t look like it takes too much effort, and it is sleek and chic. It looks glossy and wet without having the appearance of being greasy. 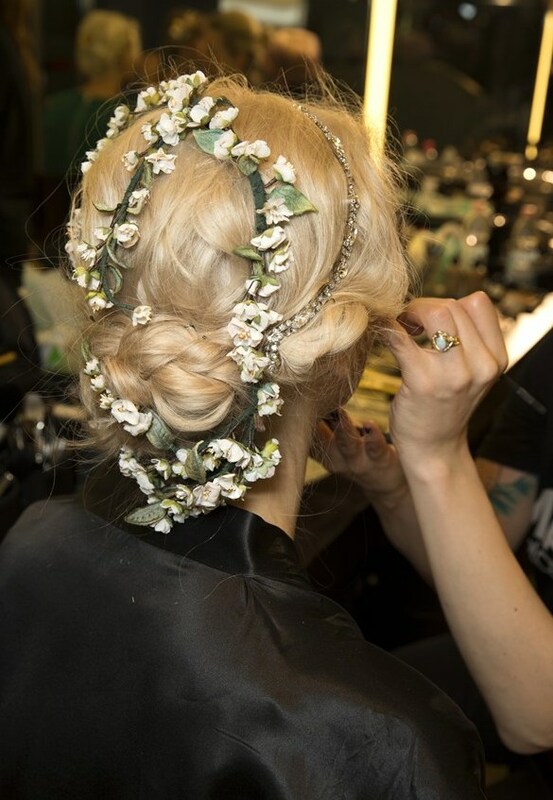 As seen at Marchesa from Allure. This hairstyle looks like a modern twist of a 1920’s style, and I love the feathers because they are elegant and funky at the same time. As seen at Holly Fulton (pictured left), Maria Grachvogel (right) from Cosmopolitan. I always love retro curls. I would wear them for more of a night out rather than in the day time, but this look is always gorgeous. When I try to get this look, I usually curl my hair with a bigger sized curling iron, because you want to achieve a bigger curl, and then I softly brush the curls with a teaser brush. As seen at Marc Jacobs (left), Chanel (right) from Cosmopolitan. I would never be able to pull this look off, but I think it is super funky and daring and just looks fun. 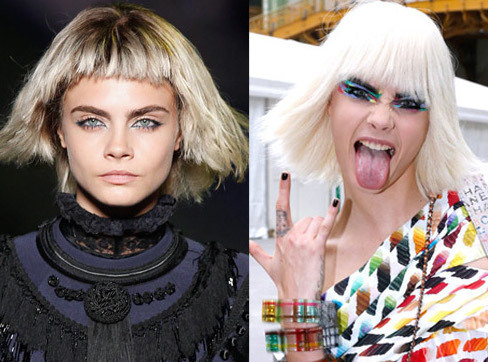 I would definitely try this look out with a wig like Cara Delevingne did, she can rock any look! As seen at Rachel Zoe from Harpers Bazaar. 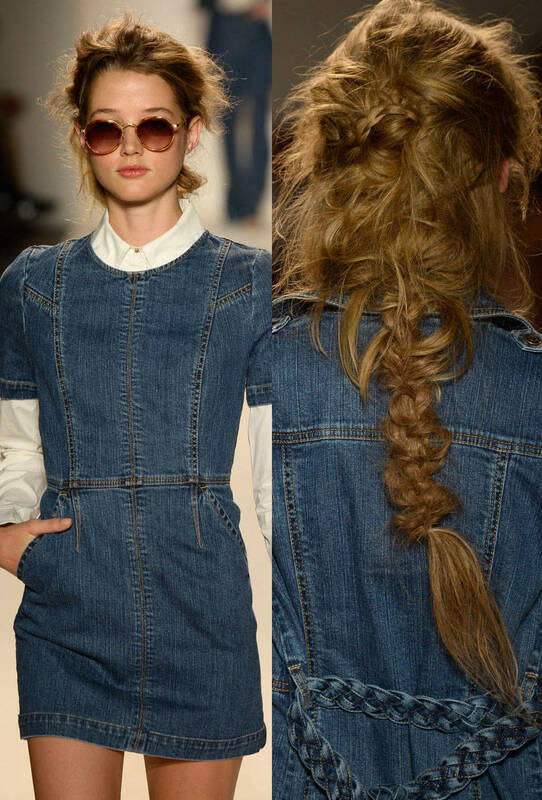 This look is fabulous, I really like messy braids! I think that it’s an easy hairstyle for days when you don’t have a lot of time to spend doing your hair, and it looks great. As seen at Michael Kors from Harpers Bazaar. 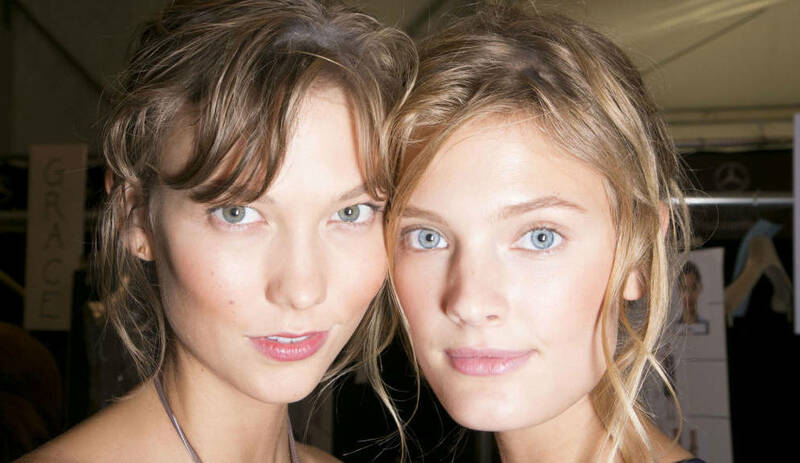 Updos are the perfect hairstyle for a dinner, night out, or a celebration. They are elegant and can really pull your outfit together. As seen at Ralph Lauren from Glamour. I cut my hair like this for the fall and it was a really nice change! I was able to dry my hair in half the time, which I was happy about, and it was really easy to style. I prefer when my hair is long, but I think this is a beautiful haircut and if you’re looking for a change it isn’t severe and is pretty. As seen at Chloe from Glamour. 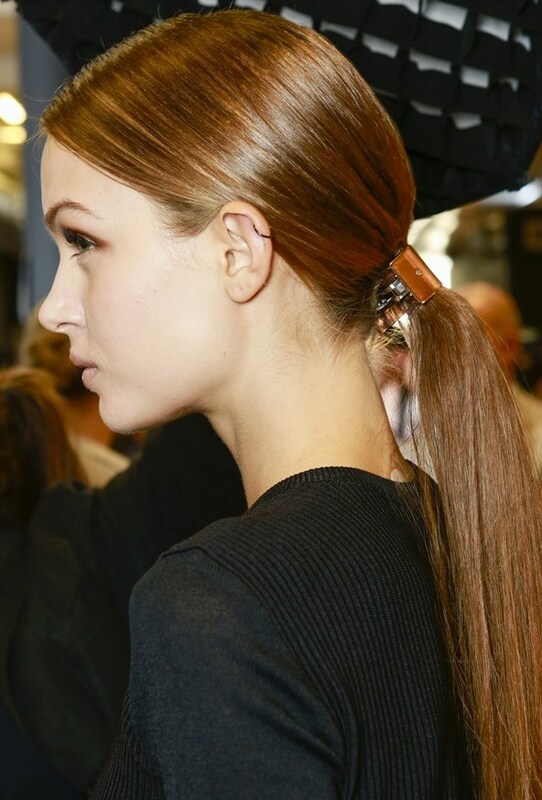 This hairstyle is sleek and simple, but pretty. I prefer keeping my hair long as well, but I make my hair straight with some body. I think pin-straight hair is pretty though! Be sure to use a heat protector before straightening your hair to prevent damage. As seen at Jason Wu from Glamour. This hairstyle is great for day and night, and it is simple and chic. I think that the gold accessory really pulls the ponytail together; it’s a really nice touch. Mid Length Cuts!! Yeah:D It’s my mostofthetime hair length. Lots of people think that it’s not a nice length, because it’s not short and not long.. drives me crazy:D like there is no mid-length hair in this world:) usually every year trends are the same, but still interesting to watch. I think mid length cuts are great 🙂 They are easy to manage too, which I love! I usually end up cutting my hair mid length every 2 years and it’s always a great change, more people should try it for sure!